Poème Électronique is unique among the pieces you are about to hear tonight in that it was composed to be a part of a multi-media work of the same title. 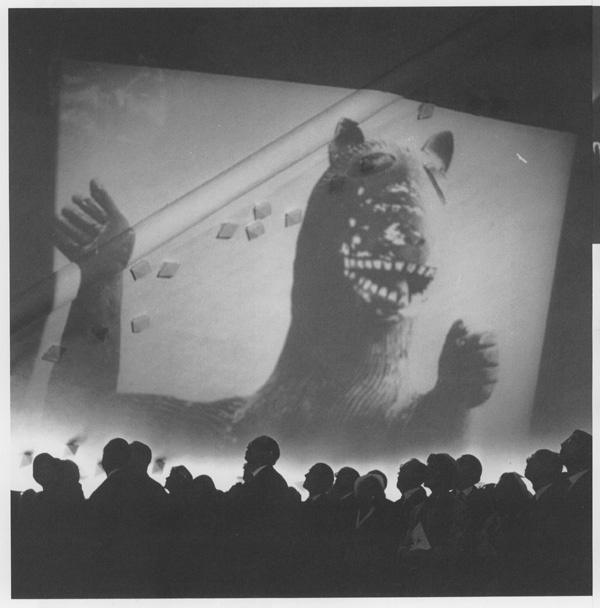 This spectacle of film, light, and sound was created for the Brussels's World's Fair of 1958, taking place in the Philips Pavilion (images 1-2, at right). 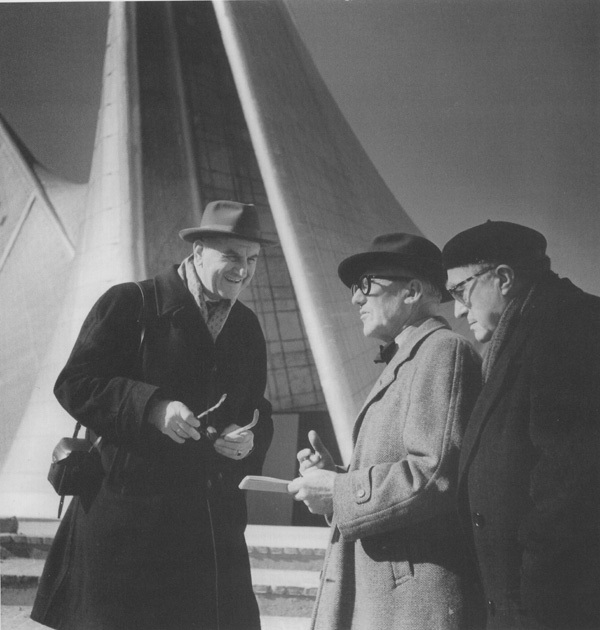 The project was conceived by architect Le Corbusier, here shown in front of the Pavilion with Varèse and Philips director Louis Kalff (image 3). The pavilion was designed primarily by Iannis Xenakis, whose work Bohor will close this evening's concert. The technology available to Varèse at the time he created Poème Électronique was out of reach for most of his life (image 4), forcing him to realize his unique vision through conventional instruments. 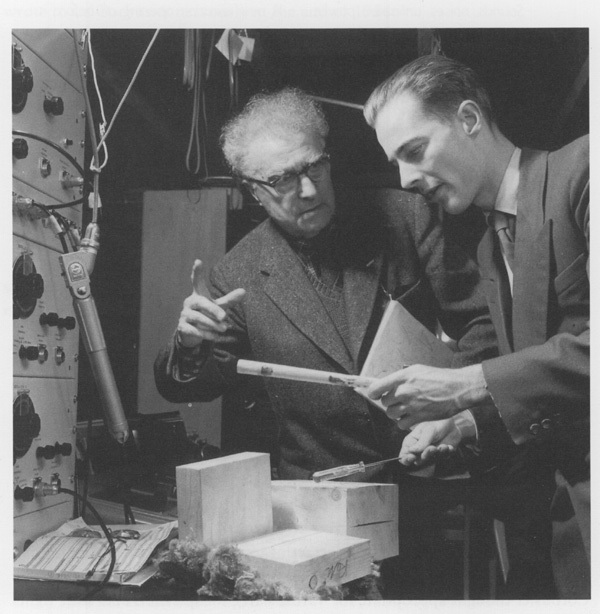 When early electronic instruments became available, Varèse was quick to use it towards his goal of "organized sound." These works from the twenties and thirties often anticipated methodologies and aesthetics that would be idiomatic to tape music, when the latter's arrival was still three decades away. The excerpts you will hear now illustrate a typical Varèse-ian gesture--an accumulation of single tones ending with a great crescendo--taken first from 1925's Intégrales, followed by a similar fragment from Poème Électronique. Though by no means identical, the two heard side by side illustrates Varèse's consistency across different media and how truly ahead of their time his early pieces were. 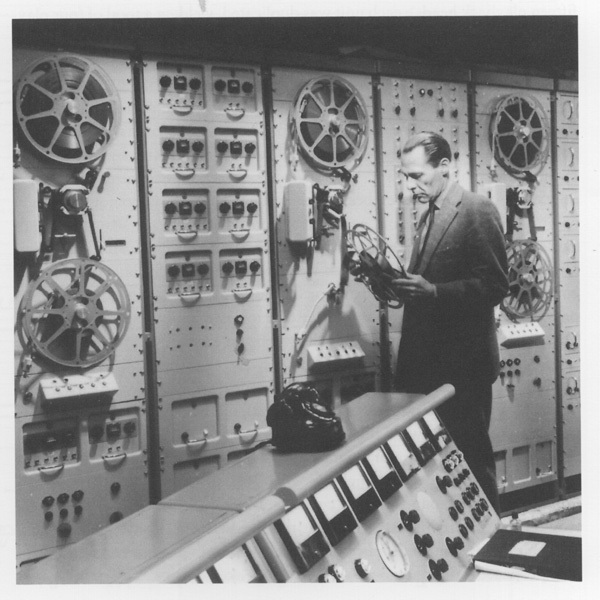 The version of Poème Électronique that you will hear shortly is the original three-channel version created at the Philips Lab in Eindhoven (image 5). When performed at the Philips Pavilion, the work was spatialized through four hundred speakers and an elaborate switching mechanism, an environment that is unfortunately gone with the destruction of the pavilion in 1959. 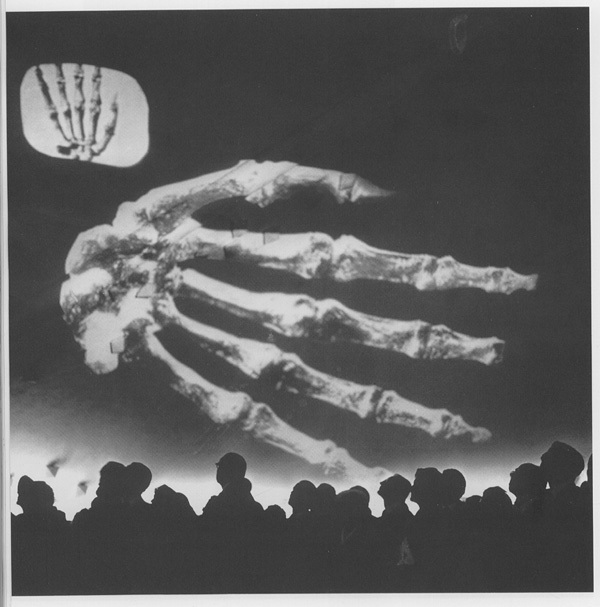 Despite this compromise, Poème Électronique as it exists today still stands as one of the early masterpieces of electronic music. It is also the realization of a life-long pursuit for Varèse, who was already 75 when the work was completed.